The Technological Development Unit (UDT) is an R&D center of the Research Department of the Universidad de Concepción, whose field is applied research and development of technological innovations. 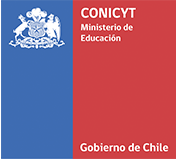 In 2007, UDT achieves an important recognition on behalf of the National Commission for Scientific and Technological Research, CONICYT, being one of the eight national institutions favored by the Base Funding Program, which supports Scientific and Technological Centers of Excellence (CCTE). In this challenge, UDT works with 5 Main Investigators, belonging to the Faculties of Engineering and Pharmacy of the Universidad de Concepcion, which are professors Dietrich von Baer, Alfredo Gordon, Ljubisa Radovic, Igor Wilkomirsky and Claudio Zaror. Applicants must have the support of their thesis tutor (or dissertation), who will be in charge of submitting the application with the sponsorship of a Main Investigator of CCTE-UDT or the Executive Director. Projects may be submitted at any time of the year, and shall follow the format and content established in the “Thesis Fund Procedure” and “Thesis Fund Form“. Undergraduate, master and doctoral thesis projects may have a maximum funding of 1.2 and 5 million Chilean pesos, respectively, to cover expenses associated exclusively to the project execution described in the form. Projects will have a maximum duration of 12 months. The result of the proposal evaluation submitted will be communicated to the applicant in writing within a maximum period of 30 days.